Trump’s Victory, the US Dollar and the Domino Effect: Will the Euro Survive Beyond 2017? Donald Trump’s victory in the US presidential election creates the conditions for change, but it is not change yet, contrary to what the media and populists believe. Far from being a “revolution”, the Trump’s advent at the head of the Western system corresponds to a radicalisation of the ex-ante situation. 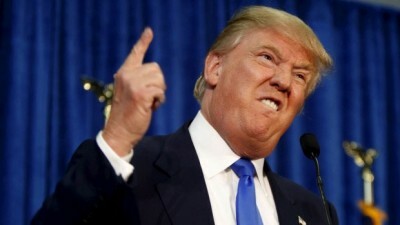 In reality, Trump is the symptom of a Western system which has failed to adapt and is now trying to rule through pure violent rhetoric, by targeting citizens and nations who propose politico-economic counter-models. The method will therefore change, but the objectives and the main principles will not. Among all the uncertainties that remain, we must now understand the subsequent challenges that threaten the rest of the world; especially the Euro zone. Technically, new opportunities for a greater European independence are now to be seized, but will we be able to seize them? 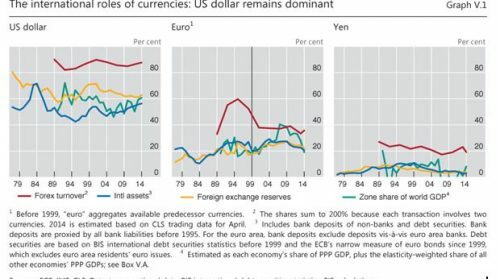 Visibly, the euro did not manage to play its role as an international reference currency. On the contrary, it could only serve as a crutch for the US dollar. Hence, to clearly anticipate the future of the Euro, one must first understand the future of the dollar. 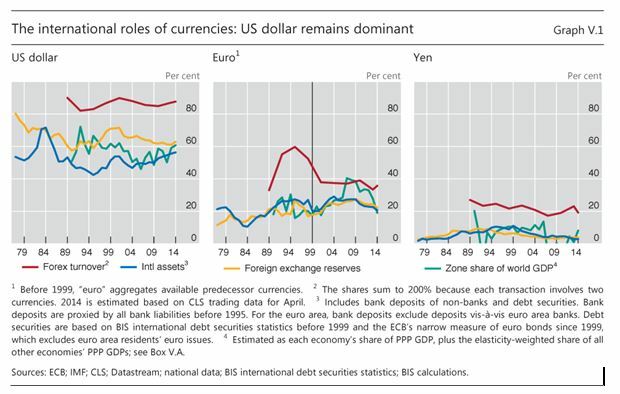 Figure 1 – The international weight of currencies: the US dollar, the euro and the yen, 1979-2014. Source: BIS. 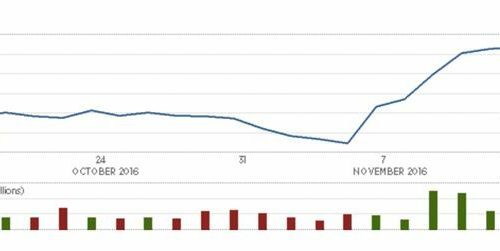 Whilst everyone predicted a collapse of the stock market and of the US dollar with a Trump victory, this did not happen. Quite the contrary, markets are on the rise. This is because the programme of the newly elected leader, as unclear as it is, requires a heap of new debt. A debt which calls for some investments, perfectly recyclable in the financial markets. Even a new cycle of quantitative easing or an equivalent might occur; and by the way, we know how profitable that is to the American stock markets. Figure 2 – The evolution of the Dow Jones over a month; the rise, starting with the election. Source: CNBC. The same logic has increased the US bonds’ interest rate rise, in anticipation of the abundant debt supply which will struggle to find a home; and inflation will undoubtedly be triggered by the implementation of protectionist measures. Thus, the rates’ increase creates a call for money in the United States, as it becomes more profitable, and increases the value of the dollar by the increased demand. Then, will the underdog US dollar become strengthened? Is that truly compatible with Trump’s policy? Not really. With more and more protectionist barriers, trade between the United States and the rest of the world will mechanically fail, resulting in less international use of the dollar and thus a weaker US currency. The impact of expected inflation due to rising import prices is much less clear: it all depends now on interest rates which will at least have to offset the expected inflation to attract investors. But these rates have no longer been left in the hands of the free market (since at least 2009) particularly because of Fed’s operations. On the other hand, to be able to maintain the capacity to export, despite the protectionist measures soon to be imposed on them by their trading partners, the US will need a weak dollar. But does it really have a choice? The interest rate on sovereign bonds is the wall against which Trump’s contradictory motives will clash (Keynesian stimulus without raising debt and with lowering taxes). This rate is indeed the most revealing point of the investors’ true feelings: will the United States still be able to borrow? And for how long? A brief, simplistic calculation is enlightening: in 2015, the Federal government paid $223 billion of debt interest; an increase in borrowing rate by only 1 percentage point on a debt of $19.8 trillion would double those expenses. To pay them, it would then be necessary to increase the Federal budget by more than 5% (which in 2015 amounted to $3,700 billion), and not to diminish it – as Trump would want; this is without even counting the infrastructure renovation plans he also has. 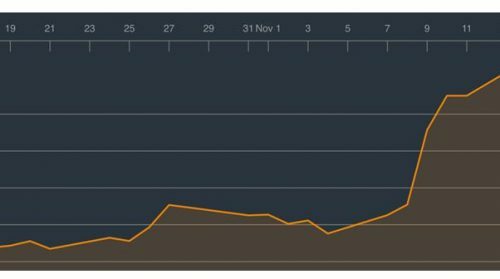 It is so dangerous and unrealistic that in just one week, since the announcement of the results of the election, the 10-year bond rate has already increased by 0.4 percentage points. Figure 3 – 10 year maturity US bonds interest, October-November 2016. Source: Bloomberg.